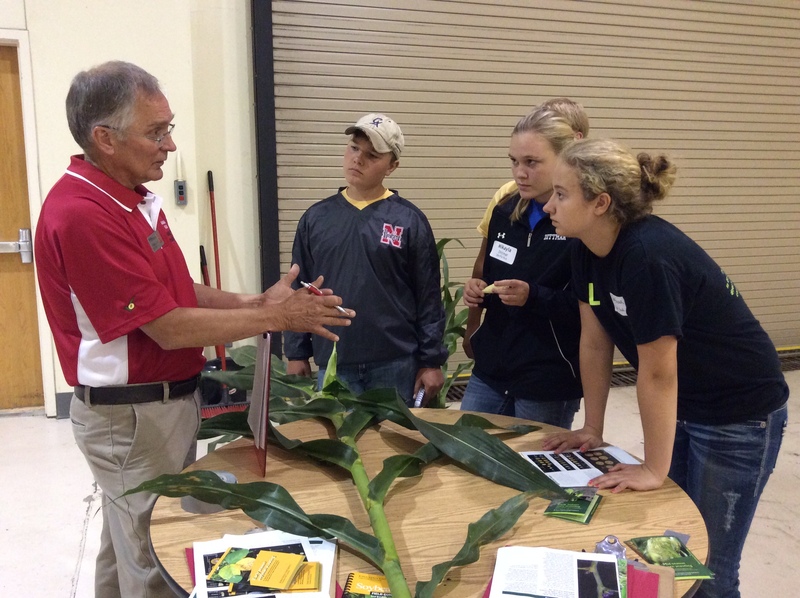 UNL Crops Specialist Roger Elmore discusses corn growth development with one of the teams during the 2015 Youth Crop Scouting Competition. 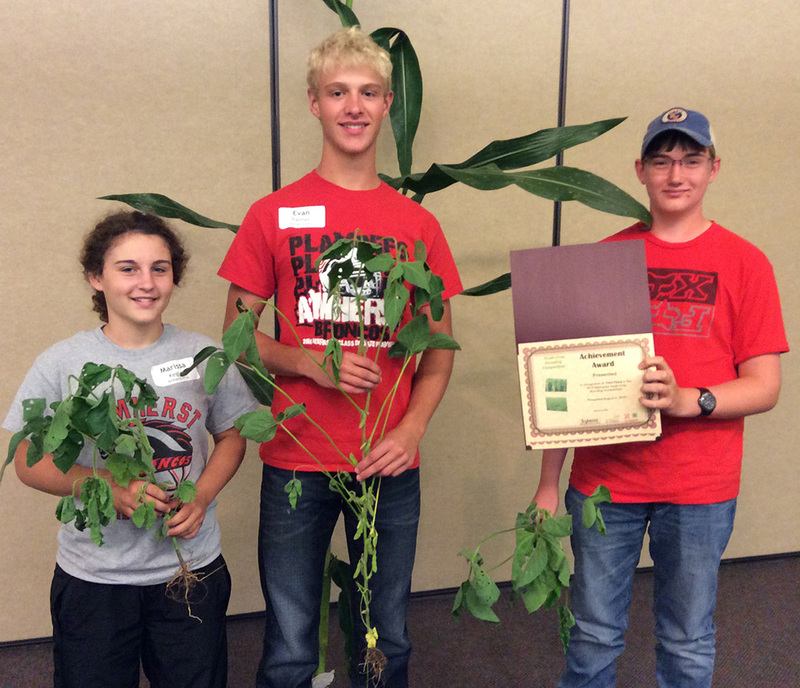 Earlier this month eight teams of youth competed to diagnose insects, diseases, and other factors affecting crop production during the 2015 Nebraska Youth Crop Scouting Competition. Congratulations to the winning teams (pictured below) and all who participated. 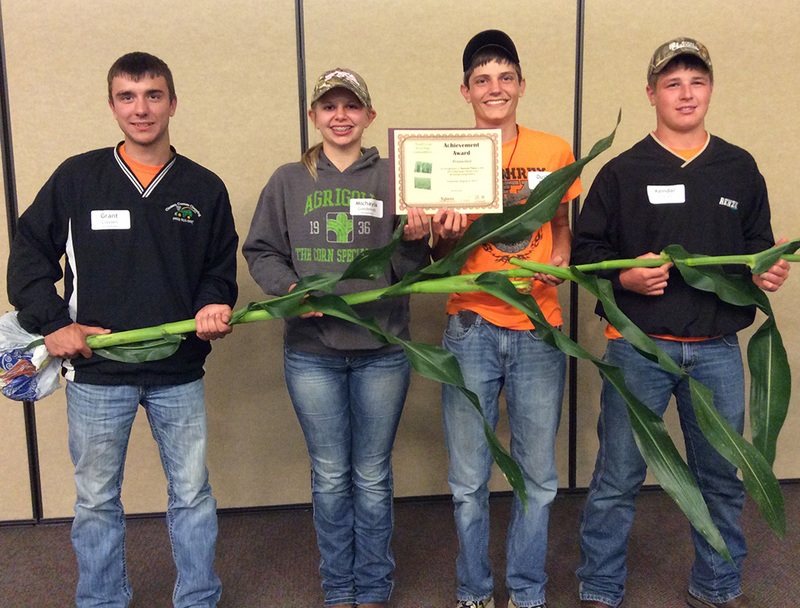 For more information on the Youth Crop Scouting Competition and other youth events visit the CropWatch Youth section. This educational program is coordinated by UNL Extension Educator Brandy VanDeWalle. External sponsors were DuPont Pioneer and the Nebraska Soybean Board. The 2016 contest will be Aug. 2. 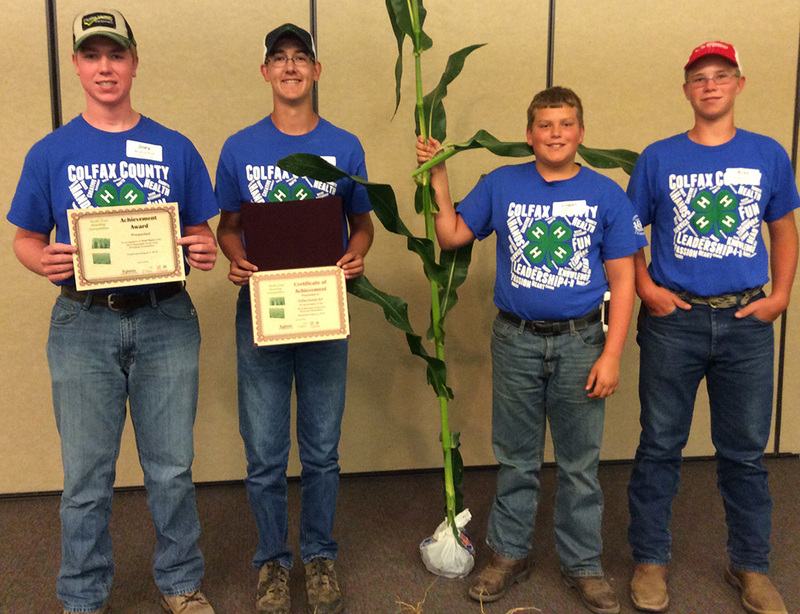 (Left) Winning 1st Place in the 2015 Nebraska Crop Scouting Competition was the Colfax County 4-H Team. Winning 2nd Place was the Humphrey FFA Team. Winning 3rd place was the Amherst FFA team.